In Coding for Kids and Teens, kids learn computer programming in fun engaging projects. Get STEM skills. 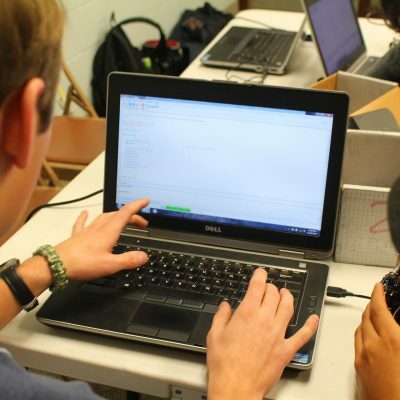 Learn to code in our class on Programming for Kids. Kids have the option of using the Anki Cozmo SDK in Python for K-12. We’re the first to offer this as a semester long K-12 course. Kinvert continues to be the innovator in STEM. Some kids will come in saying print(“Hello World!”) on day one, while others will be continuing their work in AI using Machine Learning methods such as Genetic Algorithms they wrote by hand using Numpy. Right next to them will be younger kids snapping code together code like Legos rather than typing. Do you know what the job market will look like in 10 years? Each year it becomes more important for kids to learn computer programming. Yet other skills like Teamwork, Critical Thinking, and Problem Solving will never be obsolete. Kinvert knows this, and teaches accordingly. 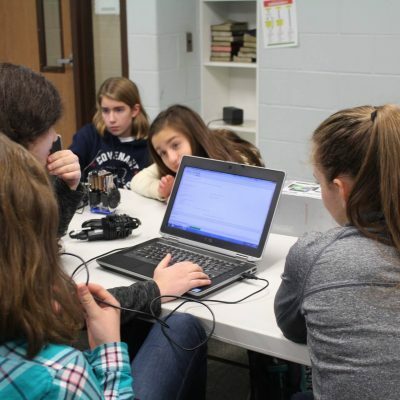 Unless requested otherwise, students are put in small teams where they build coding skills in fun projects. When they run in to a challenge they are encouraged to first try to solve the problem with their team. The hardest part of being a teacher is finding a mistake in a student’s code within 15 seconds of glancing at it, and not telling them what it is. By finding the bug themselves, they learn so much more than they could from a book or lecture. Students gain and retain knowledge not through lectures, but through solving problems. In Coding for Kids and other Kinvert classes we help kids overcome big technical challenges while rarely telling them how. This semester long course meets weekly. Looking for Educational Gifts for Kids? Click here. We seem to be Teaching Kids Python Starting at the Youngest Age. I haven’t found other companies that start teaching kids Python when they can read and type. We have successfully taught kids as young as 6 how to code in Python. Please note, if we don’t get enough kids enrolled we’ll cancel the class. Obviously you won’t have to pay for a cancelled class. Clarkston – 9600 Ortonville Rd. WHY IS CODING FOR KIDS AND TEENS AN IMPORTANT CLASS? The job market is changing rapidly and the landscape will be very different in 10 years when your kids are looking for jobs. Coding for Kids and Teens helps give students the skills they need to thrive in the future. Robotics, Computers, and other forms of Automation will replace many currently existing jobs. 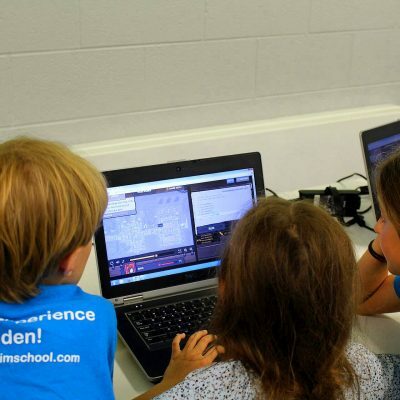 WHAT SETS KINVERT APART FROM OTHER CODING FOR KIDS CLASSES? First of all is our core philosophy. Kinvert was started to help solve the worlds problems by mentoring those who will go on to solve them. Coding for Kids and Teens will build Teamwork, Problem Solving, and Critical Thinking Skills while solving technical challenges. While other companies give lectures and solutions, Kinvert instructors encourage students to solve problems together. By overcoming a challenge in an engaging project students learn much more than if they were shown the answer. This student isn’t happy because the teacher told him what to type. Though we saw the problem with his Loop within 5 seconds of seeing his code, we resisted the urge to show him. Over the course of 10 minutes or so the student figured out how to solve the problem and overcome the challenge. Now he remembers that Python Loops require Indentation. And he won’t forget it like he would if we taught with lectures. He figured out a technical challenge without us taking away his learning experience by telling him how. This is one example of how Kinvert handles things from a different set of core values than other Coding for Kids classes. Kinvert started from day one teaching C and Python in Coding for Kids and Teens. One of our first 3 students was 6 at the time. Visual Programming is like training wheels. Eventually students need to write code, and Kinvert helps them do that. Experienced students also have the choice of learning computer programming in other programming languages such as C++, Spin, C#, and more. Most students will be learning Python in Coding for Kids and Teens. Unless a parent requests otherwise, students are put in to small teams. It is important students learn to solve problems and debug code on their own. So they are encouraged to work as a team to overcome an obstacle before asking the instructor. Most of the time students get this valuable learning experience by finding the solution. But once we see frustration has gotten in the way of learning we step in and directly help the student. Though this rarely happens it is important we help students build confidence in Problem Solving and Coding. Kinvert’s instructor is an autodidact with Multiple Engineering Degrees. He taught himself Programming, Robotics, and Electronics without help from the internet. There weren’t any answers in the Library’s card catalog. So he knows the sticking points students will face in Coding for Kids, and he knows what it took to solve the problems himself years ago. This is part of why Kinvert is so good at giving ambitious projects which students can complete while rarely needing help from the instructor. Kinvert thinks STEM should be taught by people who know STEM. That seems to be a rare opinion in this field. IS YOUR KID READY FOR CODING FOR KIDS AND TEENS? There are some prerequisites for this class. Though we have taught Coding for Kids to children as young as 6, your child should come prepared with the following. Have the ability to read – If they can’t, look at our 3D Printing Courses on our Courses Page. Though reading is a must, typing is also an important skill in Coding for Kids. The biggest difference in new students ability to Code is their ability to Type. If your child is not proficient at typing we can help them learn with typing software. If your child can’t read, 3D Printing can still be a good match for them if you want them to be in STEM this semester. 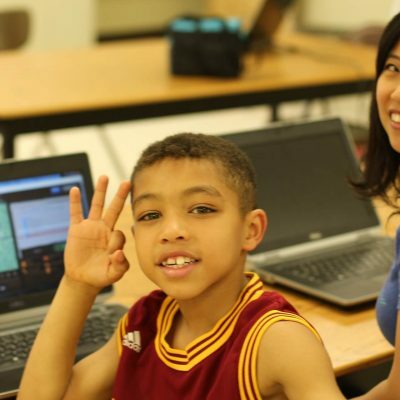 Kinvert teaches Coding for Kids and Teens in the Metro Detroit area in Oakland County and in Macomb County. 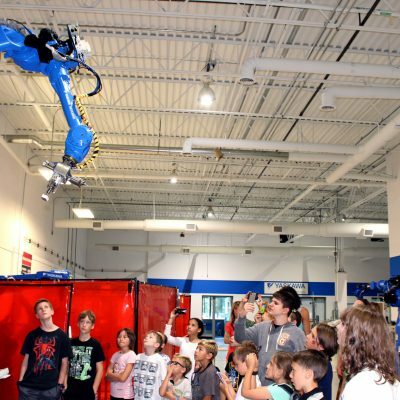 We have taught in Oxford, Lake Orion, Clarkston, Auburn Hills, Rochester Hills, Troy, Birmingham, Bloomfield, Royal Oak, Madison Heights, Farmington Hills, and Center Line Michigan. If you have a group nearby let us know and we’ll look in to teaching in your location.